Combine all ingredients (except for fish) in a medium-sized airtight mixing bowl. Add cod and marinate for 24 hours. If possible, flip half way through marinade time to allow even flavor distribution. Preheat oven to 450 degrees F; prepare a baking sheet with parchment paper. 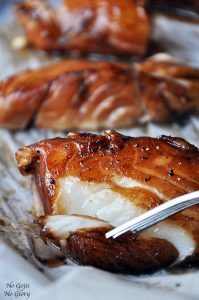 Remove cod from marinade and bake on the center rack for 7-9 minutes, until cod is opaque and flakes easily. Measure all of the ingredients into a large jar or other airtight container. Cover and shake well. That’s it! 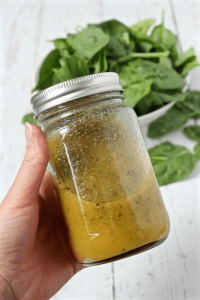 This dressing will keep in the fridge for about 2 weeks. But the oil and vinegar will separate. Just pull it out and let it sit for a few minutes to come to room temperature and then shake it really well to mix it up again. 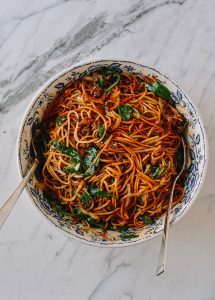 You can add 1 tablespoon of Dijon mustard to this for a tangy version – we love it that way, too! Preheat the oven to 450°F. Line a rimmed baking sheet with aluminum foil. 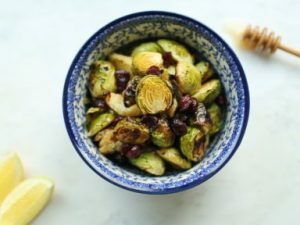 In a large bowl, combine the Brussels sprouts, pears, and onion and toss to coat with the olive oil. Season with a few pinches each of salt and pepper. Transfer to the prepared baking sheet and bake until the Brussels sprouts are golden brown and have started to crisp and the pears have caramelized, 25 to 30 minutes, stirring once halfway through cooking. 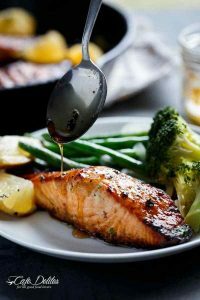 Squeeze the lemon wedges over the pan and drizzle with the honey. 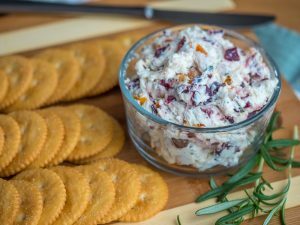 Toss in the dried cranberries, mix everything well, and taste, adding another squeeze of lemon or more salt and pepper if desired. I promise this dish will not disappoint. This spring salad is as simple as it is delightful. The ingredient that drives it is the season’s very best strawberries — plump with juice, deeply ruby-colored and with a perfume that greets you from across the room. Thin slices of English cucumber offer a cool, crisp contrast, and basil leaves provide a soft, fragrant accent. It is dressed with a honey-white wine vinaigrette. 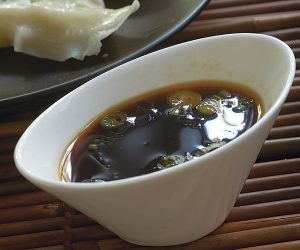 Whisk together the oil, vinegar, honey, salt and pepper in a medium bowl to form a dressing. Place the lettuce in a large bowl. Drizzle in about half of the dressing, and toss to coat. Divide the dressed lettuce among individual salad plates. 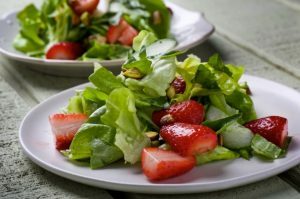 Arrange the strawberries and cucumber slices on top, then drizzle with the remaining dressing. Preheat oven to 400°. Place kabocha and delicata squash on separate large rimmed baking sheets. Drizzle with oil; season with salt and pepper. Roast, tossing occasionally, until squashes are golden brown and tender, 30–35 minutes for kabocha and 20–25 minutes for delicata. Do Ahead: Dish can be made 3 hours ahead. Store tightly wrapped at room temperature.